Officer Amy Caprio was the first woman to die in the line of duty while serving in the Baltimore County Police Department. 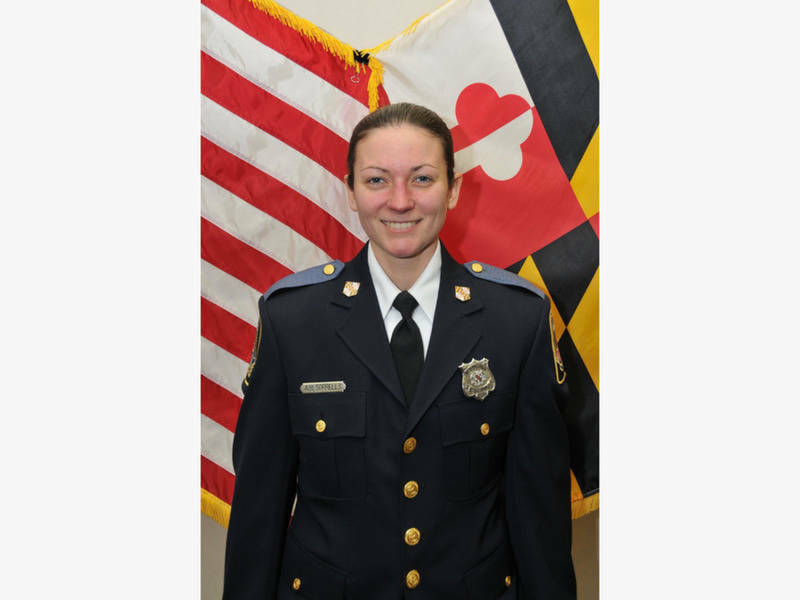 PERRY HALL, MD — Baltimore County Police Officer First Class Amy Caprio was killed Monday while responding to a suspicious vehicle call that was linked to a group of accused teenage burglars. She confronted the group’s driver, Dawnta Harris, on Linwen Way in Perry Hall, ordered him out of a stolen Jeep, and he reportedly sped toward Caprio. While she fired a shot at the oncoming SUV, Caprio was fatally hit by the Jeep. Four Baltimore teens are being charged in her death, which Baltimore County officials said is the first female line-of-duty death in the department’s 144 years. Caprio’s viewing will be at Schimunek Funeral Home, 9705 Belair Rd. in Perry Hall, WJZ reported. The funeral will be held Friday, May 25, at Mountain Christian Church, 1824 Mountain Rd. in Fallston. 1: She wanted to be a physical therapist, but found her calling in police work. SubscribeAmy graduated from Towson University with a Bachelor’s of Science Degree in Exercise Science in 2010, initially with the intention of going into physical therapy, the Baltimore County government website says. Then she found her passion in police work. She graduated from the Baltimore County Police Department’s Police Academy on December 23, 2014 as a member of our 140th recruit class. 2: She was the first woman to die in the line of duty in the Baltimore County Police Department’s 144 year history. Police are still investigating the specific events leading to her death. Initial reports said she was shot, but there was never confirmation. Police did not confirm whether there was a gunshot. 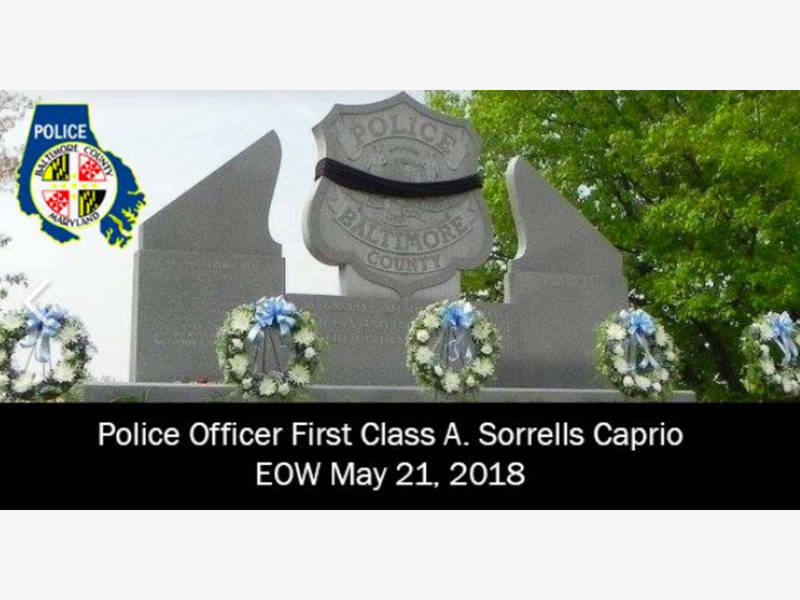 Caprio was the 11th officer in the Baltimore County Police Department to die in the line of duty. 3: The four teen suspects, all of Baltimore, are facing murder charges. Dawnta Harris, 16, Eugene Genius, 17, Derrick Matthews, 16, and Darrel Ward, 15, are all being tried as adults on first degree murder charges. The latter three are also facing burglary charges. Harris was driving a black Jeep when Caprio arrived on the scene, police say, while the three others were breaking into a house on Linwen Way. She followed him to a cul-de-sac, got out of her cruiser, and ordered him out of the Jeep. Police say Harris then opened the door slightly, closed it and sped towards Caprio, striking her. He then ditched the Jeep nearby, police say. A neighbor with paramedic training began life-saving measures and she was taken to an area hospital, where she was pronounced dead at 2:50 p.m. Monday.